Akron Coffee Roasters in the Historic Arts District is a quaint coffee shop that serves types of coffee that Akron has never seen before. Walking into the shop, it’s a very clean and open setting with a few tables and a counter with bar stools near a huge window. You can see all of the coffee equipment from the roasters to the espresso machine to the pour over stations. Akron Coffee Roasters imports coffee beans from all over the world including South America, Indonesia and South Africa then roasts and grinds them daily. They make each cup right in front of you, so you know you’re getting a fresh cup of coffee every time. Macso was inspired to open the coffee shop after living in Portland, Oregon for a few years. These kind of coffee shops, known as third wave coffee, is an upcoming trend on the west coast. Macso loved these kind of shops when he lived in Portland and missed them when he came back home to Akron. He bought a roaster for his home so that he could make the coffee for himself, but realized that other people might enjoy this type of coffee too. He opened his store front last May in the downtown Akron. He chose downtown because he liked the cliental and urban setting. Additionally, he thought that there needed to be more coffee shops downtown. What kind of coffee can you get from Akron Coffee Roasters? There are many options available such as espressos, macchiatos, cappuccinos and their unique pour over coffee, which is their most popular. Also, Akron Coffee Roasters is adding pastries to their menu such as gourmet toast with flavors such as peanut butter banana honey and apple butter cheddar and a variety of pastries from the Western Fruit Basket. In addition, you can buy a bag of their beans so you can roast their coffee right at home. These are available to purchase in the shop as well as different locations in downtown Akron including the Akron Art Museum, the Nightlight, Dante Boccuzzi Akron and Apotheclaire. 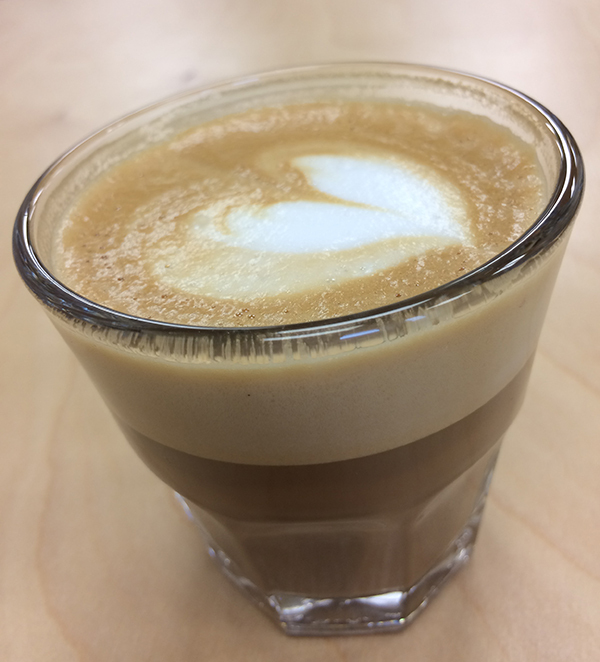 Akron Coffee Roasters is open Monday – Friday from 7 a.m. - 3 p.m. and on Saturdays from 9 a.m.- 4 p.m. They are located at 30 N High St in downtown Akron.